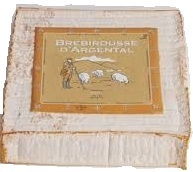 This cheese can only be made with the milk of the Manech nasier sheep.It is a strong and nutty cheese which is firm in texture. Our cheese is four months aged. Multi award winning cheese. Made with unpasteurised ewes milk. A very popular cheese made from the second, far richer, milking of the two types of local cow. A thin orange rind surrounds the soft creamy pate which has a distinct flavour and a nutty aftertaste. AOC. Made with unpasteurised cows milk. 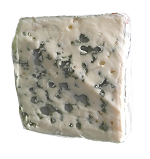 This Roquefort has a distinct and tangy flavour. It is less salty than many Roqueforts and is slightly creamier. It has a firm but open texture. Well worth a taste. Made with unpasteurised ewes milk. This resinous cheese from Vallee de Joux is only available from around October to March each year. It is soft and creamy and great for heating in the box and removing the top rind to dip in crusty bread. Made with unpasteurised cows milk. Price is per cheese and cheese weights vary but are all around 500g. Our highest fat content cheese at 72%. But why worry when it tastes this good. Mild and lactic flavour and soft and creamy. Very popular. Made with pasteurised cows milk.